In a world where most brands are claiming that their products are the best and that you need it, it’s not always easy to make a good choice. This is where The TechyHome comes in. Our website is here to help you get a clearer idea on the products your aiming to purchase as well as to discover other technology related products designed to improve your home. The TechyHome is constantly growing up to include more and more reviews and insights on products that can contribute to a more pleasant life full of pleasures, not chores. So have a nice surf and don’t forget to come from time to time to discover new amazing products. 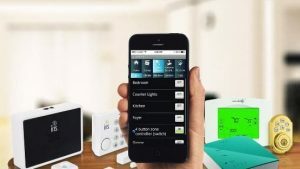 Check our insightful guides and reviews on the latest tech devices to improve and make your living space smarter.